What does Azim mean, details, origin, short & easy attributes? Azim pronunciation in 20 different native languages. Azim (Ê¿Aáº“Ä«m Ø¹Ø¸ÙŠÙ…) is one of the names of God in Islam, meaning "Great" or "Magnificent" or "Protector" Also used as a personal name, as short form of the Abdul Azim, "Servant of the Magnificent". Notable people with the name include: Given name: Abdel Azim Ashry, Egyptian basketball player. Azim is baby boy name mainly popular in Muslim religion and its main origin is Arabic. Azim name meanings is Greatest, Might, magnificent, glorious, dignified, exalted, determined. People search this name as Azim, Azima, Aziman, Azimuddin, Azimah. Azim is written in Urdu, Hindi, Arabic, Bangla as ازم, अज़ीम, عظيم,عظیم, আজিম. Other similar sounding names can be Azimushshan, Aziz, Azizullah, Azima, Aziman, Azin, Azita, Aziz, Aziza, Azizah. Popular personalities with Azim Name. 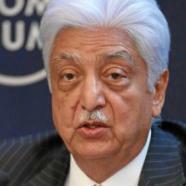 Azim Premji is a chairman of wipro, wipro, and chairman ofwipro. Azim was given the name Azim Hashim Premji on July 24th, 1945 in Mumbai. Azim Azimzade was a in the fields of artist, caricaturist, and caricature. 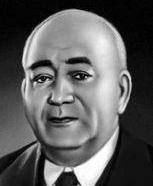 Azim was given the name Yzim Aslan oYlu YzimzadY on May 7th, 1880 in NovxanY. He left this life on June 15th, 1943. 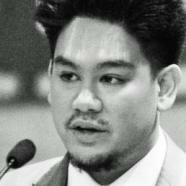 He holds the title Sultan of Sulu and SultanofSulu. His career lasted from 1735 to 1748. 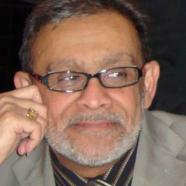 Dr Azim P H Somani is a founder of aphs group, chairman of aphs ltd, ceo of lifestyle discount club, ceo of british publishing corporation, and author. He has been prominent since 1983. Dr was given the name Azim Pyarali Hussein Somani on October 8th, 1955 in Mbarara. Azim was born in 1981. He holds the title Prince of Brunei. Prince was born as the child of Hassanal Bolkiah on July 29th, 1982 in Bandar Seri Begawan. Sehban Azim is an actor. Sehban was born Sehban Azim in Delhi. Asif Azim is a model and actor. His most notable accomplishments were from 2002 to present. Asif was born on March 15th, 1984 in Meherpur District. Asif is also known as Liton (Nick Name). Nik Shahrul Azim is a soccer player for the Kelantan FA, Malaysian President's Cup, Harimau Muda B, and Malaysia national under-23 football team. Nik was born on December 30th, 1990 in Rantau Panjang, Kelantan, Malaysia. Sheikh Azim is a soccer player for the Mohammedan S.C. (Kolkata) and Mohun Bagan A.C. Sheikh was born on June 12th, 1986 in Kolkata.